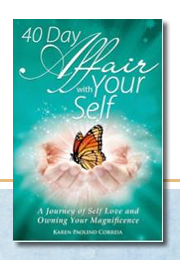 Are you ready to passionately have an affair with your Self and fall in love? I hope your answer is YES! 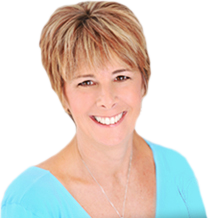 This proclamation opens and expands your consciousness so you can open and be willing to receive everything you need to be support and guide you on your journey of self-love. 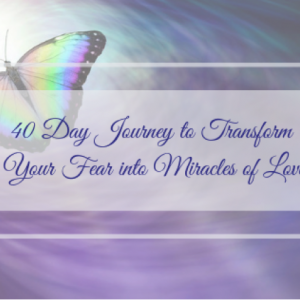 This 40 Day Affair is about going within and bringing awareness to your feelings, your truth and the magnificence of you, who is waiting to be re-discovered, embraced and loved. You are not alone on this journey unless you choose. 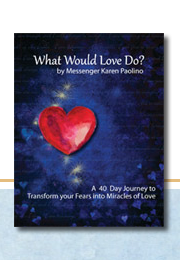 Every day for 40 days, you will be encouraged and guided to ask your Soul, your angels, guides and loved ones in spirit to surround you and support you, as you heal and awaken to your true feelings about yourself and your desire to love and be reminded of who you are.